Retail Crime can cost any business thousands of pounds each and every year the store can sustain this loss however with the smaller traders this could also mean the business having to close or staff loss to cover the loss of stock. We find many retail outlets work long hours to supply cost-effective products to the customer; however some of those very welcome customers think they should not pay for the goods on offer for the following reasons. 2. Living beyond there means. 4. Supporting a Drugs or Alcohol addiction. Unfortunately over the last few years all of theses reasons are on the increase in the High Street. 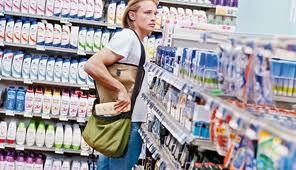 In some cases your retail losses could be employee related, by common place wastage, Till Theft, stock room theft, helping them selves to stock or a disgruntled ex-employee. By engaging Security Response UK. You have shown you’re committed to protecting your assets and the safety of your staff and customers. By having a smartly uniformed officer on your shop floor interacting with the duty manager, the staff and of course the most important people in the store your valued customers. This works as a simple “Hello” to the customer on entry or a good bye on exiting the store. As for the in house staff they all know why the Security Officer is in store. Should your Retail Outlet be seeking a Loss Prevention system? I ask you during your own weekly shop have a look in the stores you shop in do you experance this service or is the loss prevention officer playing on there phone. You will find the Loss Prevention Officer standing or sitting at a lectern watching CCTV or playing with their mobile phone, they may look up at the door beeping. Look a bit closer dose the loss prevention officer hold the right SIA License for this outlet. 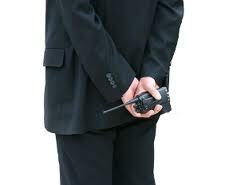 Again is the Loss Prevention officer standing by the door playing with his or her mobile? Waiting for the door to beep. Did you get a welcome on entry to the store. Or maybe a thank you on the way out of the store. With Security Response UK, any of our staff members playing with there Mobile Phone in a Loss Prevention role will be removed. Our Employee’s Hold SIA Door Supervisor Licences as they have been fully trained in conflict management and we also find they are more customer focused as opposed to sitting in an empty office block for hours on end. Call Us Today With Your Requirement: 01189471331 or 07720286038.